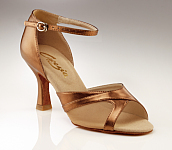 Everything you need for ballroom dancing! 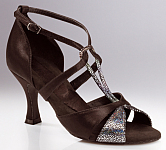 Danskin's footed dance tight in an ultra-shimmery finish. Perfect for dance, artistic roller skating or figure skating. Features a soft elastic waistband and cotton crotch. Capezio's adult seamless fishnet tights are a jazz and tap classic that are also great for costuming and fashion. Features include a comfortable 1" plush waistband and nylon sock lining. These ultra shimmery footless tights provide extra sheen for any performance. Men's Vest "Arcalmicor" by Intermezzo in elegant black.Button front, small decorative pocket in the front, without collar.Made of stretchy and breathable material. Asymmetrical short ruffle skirt featuring an elastic waist with clean finish. 5212 Panpumrecam is soft and flowing, featuring a narrow elastic waistband and a straight leg. Ideal for training sessions. 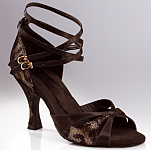 Men's flexible, split sole, Latin Shoe with patent detail. 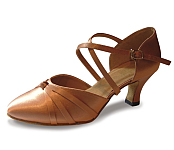 The shoe has a Cuban heel and is available in a choice of medium and wide width fittings. This Capezio short gore skirt features a flared bottom and is designed for maximum comfort, performance and versatility. 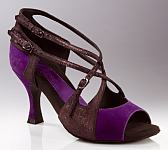 Zeus men's leather ballroom shoes, featuring super-flexi suede sole. 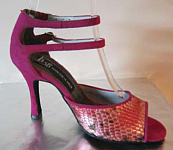 1” standard heel. Split sole brogue leather Oxford with Neoprene arch. Performance foam cushion. Suede lining. Includes shoe bag. Elegant dance skirt in a mid-calf length, featuring a cross over V waistband. 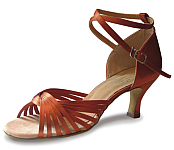 Easily converts regular fit sandals into a slim fitting for the narrower foot. Wide fit Oxford. Leather Upper, 1" heel, suede soles. 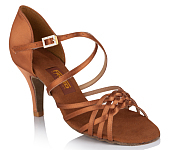 Vince Men's Latin Style, 1.6" heel, leather upper, and super-flexi suede sole. Revolutionary new dance shoes, which are designed to adjust to the contours of the dancers foot, giving unprecedented comfort and performance. Minimal crease patent uppers and suede soles with a one inch graduated heel. Classic Male Standard Shoe made if Metis leather. Small 4 cm heel. Suede leather sole.Upper and insole material is leather. This asymmetrical skirt with elastic waistband is made of a very soft knit fibre and offers excellent drape and movement qualities. 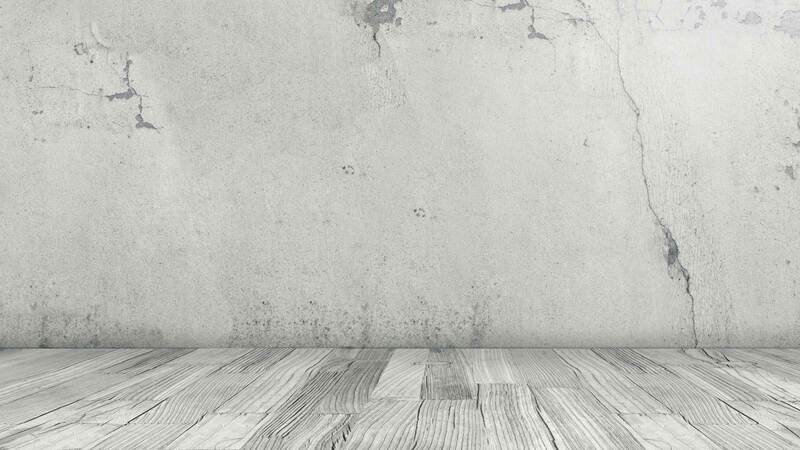 It wants a perfect unity of newest design, sophisticated equipment and excellent craftsmanship, to ensure that the shoe can withstand even the greatest strain. This exceptional fitting and cushioned Sneaker has a split-sole. 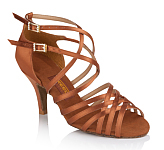 Due to it's flexibility and thin PU-sole it is perfectly suitable for Zumba, Salsa, Traing and Jazz. 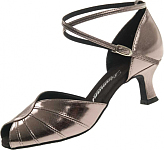 Heel-height: comfortable 1,5 cm with a broad step surface.Last: The shoe's exceptional fit and extremely shoe width guaranteesa wonderful dance-florr experience.Midsole: Exceptionally soft and flexible as well as exchangable. 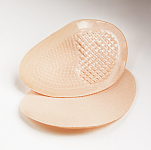 Heel:Shock-absorbent cushioning. Material: Soft glove-quality suede and nappa leather that provides a particularly gentle and supple fit. 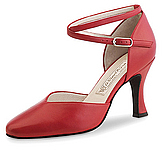 Lining:Wonderful feel (while dancing) with high-quality breathable and moisture-absorbent leather lining. Outsole: Extremely flexible PU-Sole for light and controllable turning and gliding. 2" leather wrapped Cuban heel. EVA shock absorbing top lift covered in suede. Suede sole. Includes shoe bag. Extremely soft and ultra light shoes made of deerleather. All Werner Kern's danceshoes for men are equipped with Latex midsoles and leather-linings which provide an excellent dance feeling. Velvet dress featuring a round neck- and back line. Elegant Men's Standard Shoe "Marryson" by Merlet.Upper material is patent leather, suede leather sole. 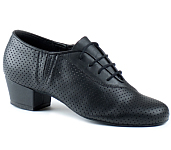 Standard Oxford featuring a 1" standard heel. Leather upper. Derby Style, 1.2" heel, two tone, leather upper, suede sole. The Intermezzo Camlux top with a 3/4 arm is a real eye catcher. It consists of two material layers and a waterfall neck line. The shorter top layer has a metallic look and the longer bottom layer ist made of a soft flowing matierial. The loose cut allows for freedom of movement. It looks great on dance pants or leggings. 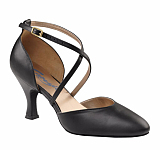 Elegant, high quality dance shoes made of Suede and Patent featuring a 5,5 cm flare heel, a soft and comfortable Latexmidsolea and leather – lining. 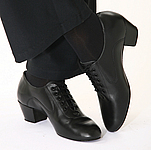 They are manufactured with a high quality and soft Italian Nappaleather which guarantees a perfect and comfortable standard dance performance. Classic Men's Latin Shoe made of Metis Leahter with a 4 cm cuban heel and a flexible suede sole.Upper and insole material is leather. 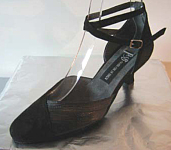 Men's Standard Shoe "Harro" by JB Steel.Made of black leather with applications of patent leather at the shoe cap and the sides.The small heel is also covered with patent leather.